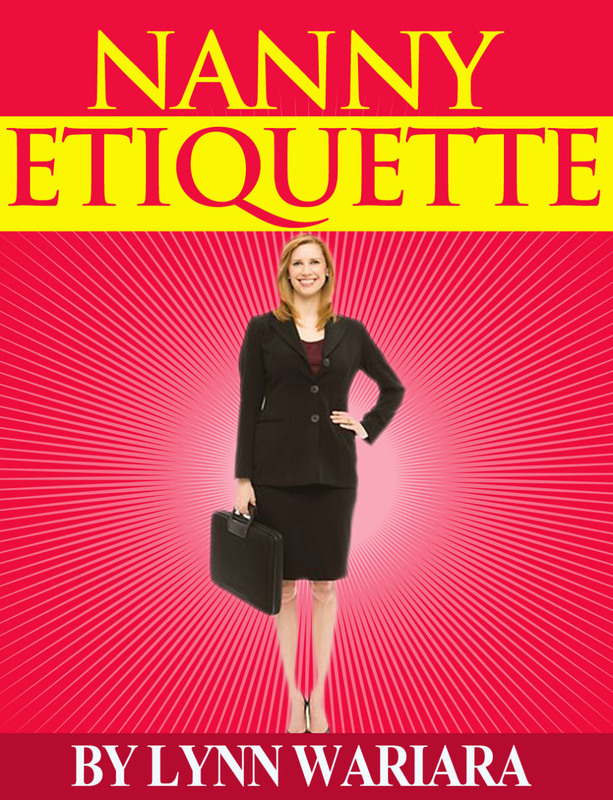 Lynn Wariara, author of the new book NANNY ETIQUETTE kindly shared a sample of her book with me to review. The book is merely six chapters and under 20-pages in length. It has quite a few grammatical errors. But, if you can disregard the typos there is some good advice, it’s a quick read, at an inexpensive price. The short chapter is divided into two headings: Interviewing Process and Be on time!!!. Under the heading Interviewing Process the author discusses how to dress on a nanny interview. Ms. Wariara says when possible nannies should wear their hair in a ponytail. She also recommends always asking before holding a baby and to wash your hands before holding a baby. Then, she includes more information about the interview process. She urges nannies to introduce themselves with a firm handshake, soft eye contact, and a smile. She explains how to sit with legs crossed. The author cautions nannies not to cut-off the interviewer when they are speaking and not to take over one minute to answer questions because some people are turned-off by others that talk to much. Then she explains on the first days of the job to pay close attention to instructions and not discuss or compare your last working position with the one you are in now. I like chapter two of the book. Ms. Wariara directs nannies to schedule a weekly or monthly meeting with the parents and how to discuss problems that may arise at the job. She continues to describe the proper etiquette of sharing feelings and having conversations about difficult topics with employers. She includes advice on asking for a pay raise annually and when there is an additional child or duties. In this chapter the author provides a hypothetical situation between a nanny named Susan and her employers, the Smith family. Ms. Wariara explains again that having open and honest meetings with the parents at least once a month can help alleviate misunderstandings. Ms. Wariara effectively points out how important it is for nannies to maintain professionalism and separate their private and work lives at all times. In this chapter Ms. Wariara suggests nannies refrain from lecturing parents how to care for a child. She also recommends having a written work agreement to avoid conflicts at a later stage or her employment. This is a cute article describing the best characteristics nannies should have. Click the title of the book in blue to pick up your own copy of NANNY ETIQUETTE by Lynn Wariara. « Mandated Reporter or Tattle Tale? The quote saying that parents don't want motherly nannies especially in the elderly is wrong on so many levels. How can it be wrong to love a child? Why would it matter what age you are if you are caring for a child? I agree with your concern anonymous.